When I started this blog a few years ago I posted with some regularity. Barely a day went by when I didn’t post and I am sure I made at least one full month without missing a day. The process drove me creatively. It forced me to get out and shoot. To find fuel. To create. Since that first year (maybe year and a half), I gradually drifted away from that regimen. 2016 was probably my low point. I went weeks without posting a single image. And I want that to change drastically in 2017. So, here is the first new image of 2017. It is the first of what I hope will be a new image on the blog every day for the entire year. Not just a blog post every day, but a blog post containing a new image shot that day. I’ll have more details tomorrow, when I post my second image of 2017. 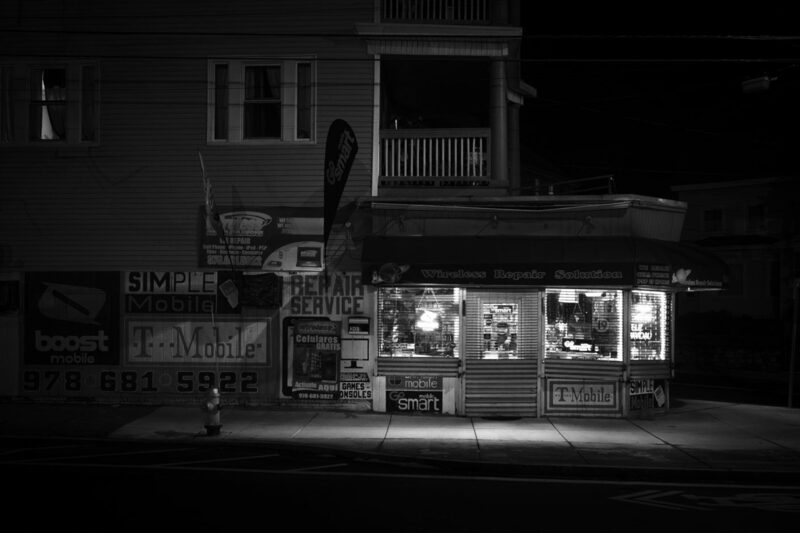 This January 1 image is sort of a resurgence of a series I started a couple of years ago: Lawrence Storefronts. Good luck with the commitment Bob. I’ve found it hard. I, too, need to recommit to shooting in 2017.